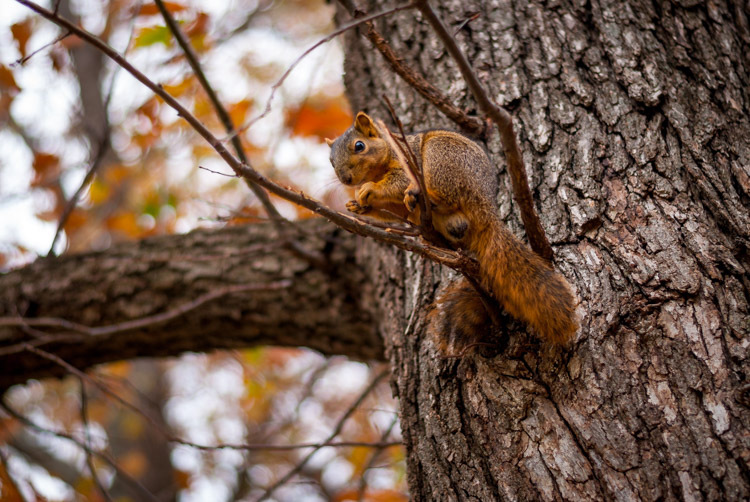 I like that you stated perpendicular to the branch he is on to keep it in focus and create a clean lines that reach across the frame and lead to him. Thanks William. Using the branch as a leading line was not a conscious choice but I’m pleased with how it turned out nonetheless. Nice shot, Simon, Lord of the Squirrels!! Haha! Thanks Tom! Now if only I could command them and make the squirrels do my bidding. Mwa ha ha ha! Nice picture! 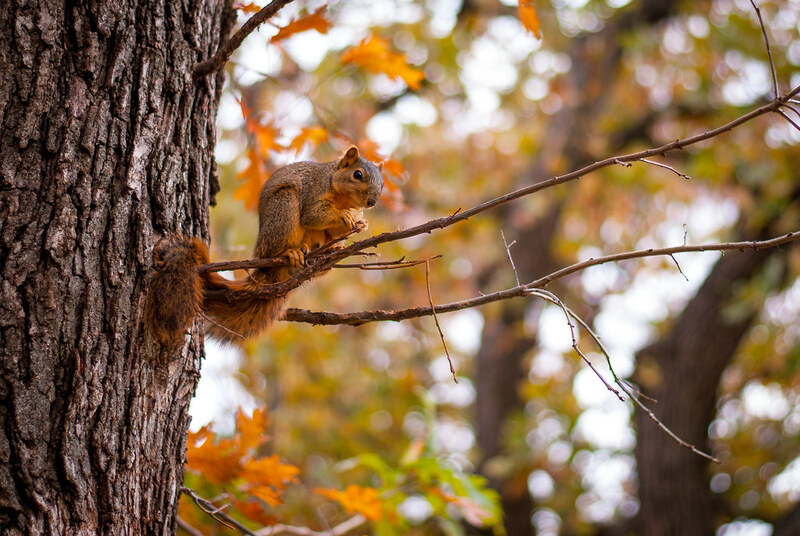 The squirrel is tack sharp; complies with the ‘rule of thirds’; and, has a great bokeh behind him/her. I understand that, with a 50mm lens, your zoom is your two legs. However, because of the distance, did that require you to open your aperture to 1.8? That is, could you have achieved the bokeh with a 2.4 aperture? Does distance between the camera and subject affect the aperture opening necessary to achieve bokeh? Thank you for your effort in keeping this blog going. Happy New Year! You can get good background blur with wider lenses if you shoot at large apertures and also have a lot of space between the subject and the background. I like both of the pictures, but especially the first one. Shooting wide open paid off with the nice bokeh. The color is excellent. As soon as I clicked on the “Submit” button, I remembered that squirrels never stay still long, so taking one’s time to frame the picture is impossible. That first picture is a keeper, IMO.